When an accident occurs, a formal accident investigation will immediately be commenced by the government agency charged with responsibility for investigation and reporting on all major transportation accidents in the United States, the National Transportation Safety Board. 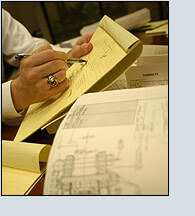 The Investigator In Charge (IIC) issues a Preliminary Accident Report within thirty (30) days after the occurrence. Months later, after investigation and analysis, the IIC produces a Factual Report. Shortly thereafter, the Board itself will issue a Probable Cause report. Although the NTSB does a commendable job, its workload and staffing produce reports that are good as far as they go, but often do not go far enough. 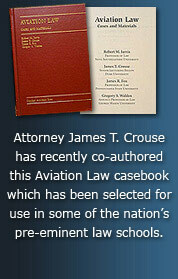 Often the truth about what really happened, the full and complete picture, does not come out until skilled, experienced and dedicated attorneys, technically knowledgeable in their own right and aided by trained, educated and experienced technical experts, through the litigation process, obtain documents, information and testimony that the NTSB simply did not have the time or the resources to gather. For example, in a recent transmission failure case, we uncovered information that the transmission had failed several test runs after overhaul and that a component in its oil pump was reused three times despite being found to be beyond overhaul specifications. In order to find out what really happened, the right team must be assembled, and that begins with the selecting the right attorney. 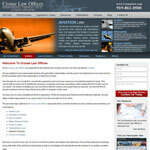 Aircraft Negligence Lawyers, Transportation Law, Helo Accidents, Crashes, Collisions..